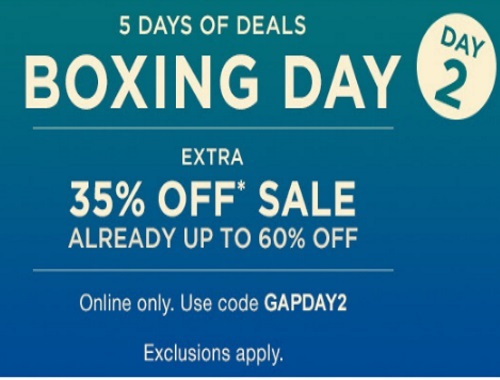 It's Day of Gap's 5 Days of Boxing Day Deals! Get an extra 35% off sale items, which are already up to 60% off! Enter the promo code GAPDAY2 at checkout. Exclusions apply. Offer valid December 27, 2016 only.